An in-depth view of Bollington and the interests of its population. 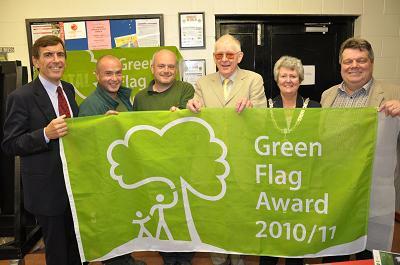 Recreation Ground awarded Green Flag again! 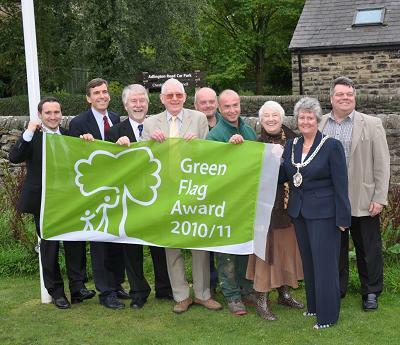 Bollington Recreation Ground is continues to be officially one of the best parks in the country. 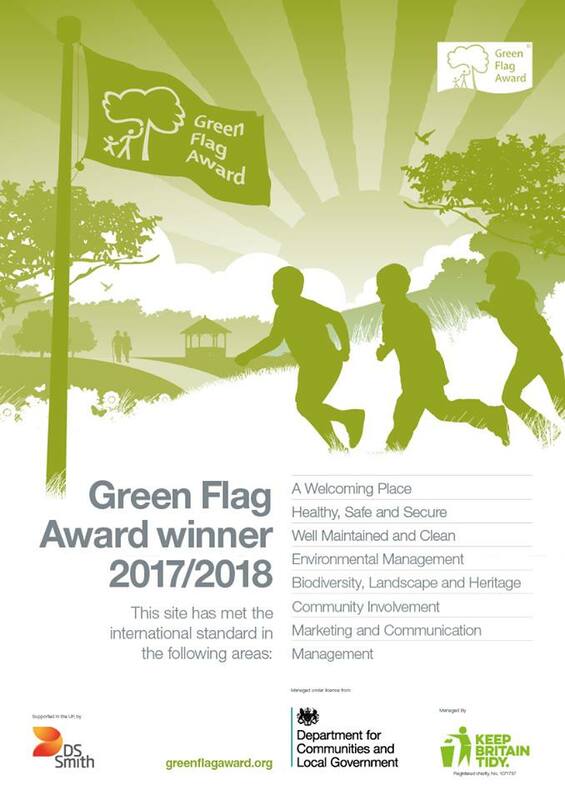 The Adlington Road open space has been awarded Green Flag status every year since 2009, after a rigorous inspection by judges from the Keep Britain Tidy group. Macclesfield Borough Council (MBC) invested £150,000 in the Adlington Road facility in 2007/08, with resurfaced tennis courts, fencing around the bowling green, new seating, bins, signs, access, boundary fencing, restoring the existing gates, a new bridge over the river Dean, enhancing the woodland areas with wood carvings, and introducing more planting schemes in the eight-acre park. Since then the Friends of the Rec have been very active in developing the ground and assisting the borough staff in keeping it clean and tidy and well planted, as well as significant developments in the children’s play park. All this hard work has now paid off year after year! Congratulations and thanks must go to Carol Barnes, who has continued in her chairmanship and kept the Friends together for another successful year. Please notify us of any errors, omissions or changes by emailing the webmaster. © Copyright Webmasters and contributors 1996- 2019 . All rights reserved.